Scheduled appointments for facility trained and approved users only. Make reservations using this Reservation System. Please contact Prof. Patricia Wadsworth (patw@bio.umass.edu) by email to schedule training and appointments for both systems. 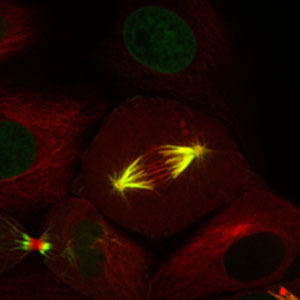 Laser lines available: 488nm and 561nm suitable for imaging GFP, RFP, mcherry, and Cy3 conjugated antibodies.. 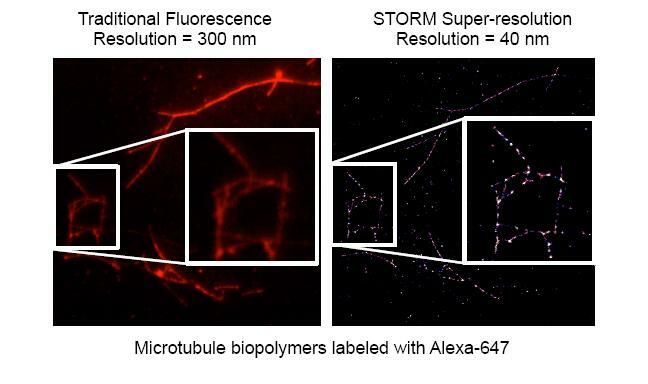 Image shows a super resolution of microtubules taken with the new PALM system.